Generally clear skies. A stray shower or thunderstorm is possible. Low 49F. Winds SSW at 5 to 10 mph..
Generally clear skies. A stray shower or thunderstorm is possible. Low 49F. Winds SSW at 5 to 10 mph. Phytophthora in soybean affecting the early growth stages. An example of what Pyhtium looks like in corn seedlings. You know what they say: March comes in like a lion and out like a lamb. Well, it certainly feels like this past winter was just one extended lion. According to the U.S. Midwest Climate Hub, Midwestern states have seen precipitation two to three times above average. Coupled with already saturated soils, melting snow and flooding from the Missouri River, fields are looking more like swamps than planter ready. With the saturated conditions and warmer weather on the horizon, it is especially important that we be fully aware of the risk of crop disease. In light of recent events, here are some important factors to keep in mind when planting. Last year’s late harvest due to consistent downpours that kept combines on the sidelines affected the quality of corn grain and soybean seeds across the north central region. Consequently, a large amount of soybean seed was exposed to Diaporthe longicolla and Cercospora kikuchii, causing Phomopsis seed decay and purple seed stain, respectively. 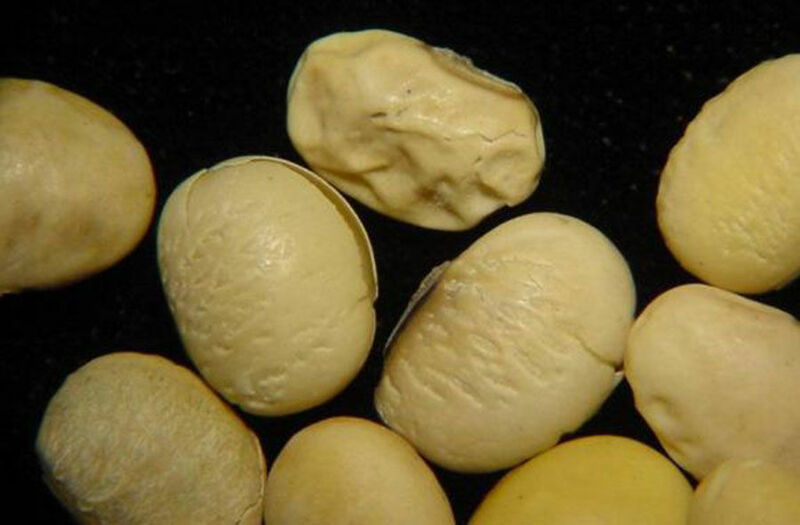 While some areas harvested high-quality soybean seed, U.S. seed suppliers have reported that soybean seed to be used in 2019 is frequently testing positive for the Diaporthe fungus that may lower seed germination rates. While fall 2018 was cool and wet, what followed was a colder and wetter winter (the 57th coldest and third wettest on Iowa record). According to State Climatologist for Iowa Justin Glisan and director of the Midwest Climate Hub Dennis Todey, March was cooler than the average. This means that soil moisture for spring planting will likely be very high. As is stands, Iowa is in the 99th percentile for soil moisture, and some areas of the state still have snow on the ground. This means farmers need to have a decision made on how to manage low-quality soybean seed to minimize disease and maximize yield in 2019. 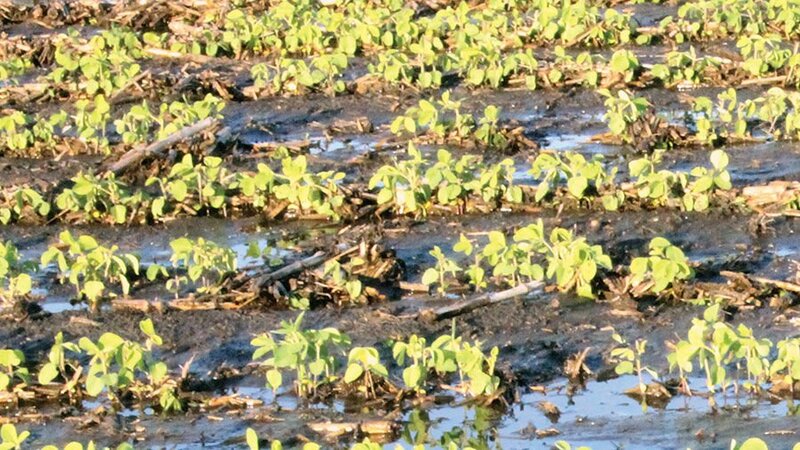 Wet and possibly compacted soils from fall and early season planting may expose soybean seed to seedling disease, such as Phytophthora root and stem rot and Pythium seedling blight and root rot. With moist soils, even high-quality seed is at risk for infection by these pathogens. Phytophthora can infect soybeans at any growth stage. Root rot is more severe in no-till fields, poorly drained soils or low areas prone to flooding. The pathogen is an oomycete (water mold), which means it can move through and survive in water. When soil temperatures reach approximately 60 degrees and soils are saturated, oospores of the pathogen germinate and infection of plants occurs. Warm, saturated soils, especially right after planting, are conducive to disease. Seed treatments that include metalaxyl, mefenoxam or ethaboxam target oomycetes and can provide some protection. Pythium, which is also an oomycete pathogen, can cause both seed and root rotting. The pathogen is prevalent in the northern U.S. and is capable of infecting plants at lower temperatures, between 50-60 degrees. Planting in cold, wet soils should be avoided to reduce infection. Seed treatments targeting oomycetes can be effective, although reduced sensitivity to metalaxyl, mefenoxam and ethaboxam has been documented in some species of Pythium. Higher-quality corn seed is also not immune to seedling diseases in moist, cooler soils. Root rots in corn are very common and can be caused by several pathogens (Pythium, Fusarium and Rhizoctonia). Root rot susceptibility can be reduced by standard seed fungicide treatments. Susceptibility can also be reduced if soil is 50 degrees or warmer and is drier. Similarly, seed decay and seedling blight may also be caused by the same pathogens and can also be the culprit. 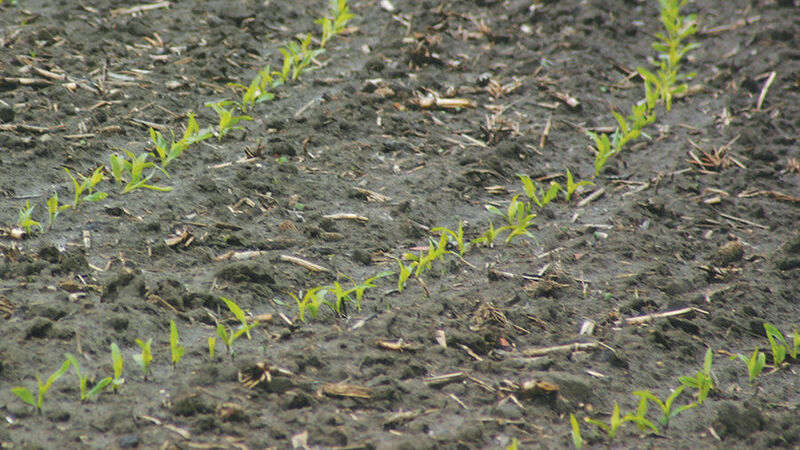 Fungicidal seed treatments can protect corn seedlings against these pathogens. Planting into warmer, drier soils also helps. Climate reports indicate that the latter half of March was drier than normal across Iowa, boding well for snow melting and evaporation. It’s important to know the quality of both your corn and soybean seed, as well as a general moisture rate of the soils you’ll be planting them in, to make informed decisions about future disease management.